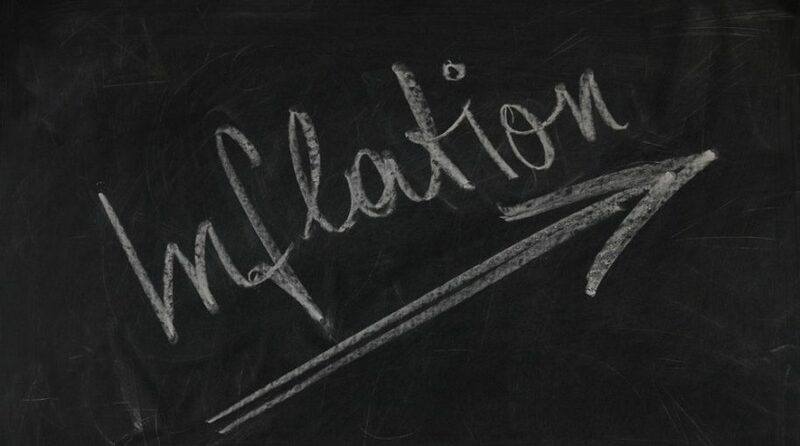 You are at:Home»ETF Strategist Channel»Inflation. What Inflation? Reversion to the mean is one of finance’s most tried and true principles. As financial professionals, any time we see an asset class rise to an unsustainable valuation, or a statistical data point reach a level it never has before, we start with the premise it will eventually return to the long-term average. What if tried and true principles aren’t so true though? Average inflation for the last 50 years, as measured by the CPI-U on a quarterly basis, has been 4.1%. However, the last time measured inflation was above this number was September 2008. The U.S. has gone almost a full decade without an inflation reading higher than the 50-year average. The forward projections don’t improve this picture. As of October 18, 2017, close, the 5-year breakeven rate (a measure of the market’s expectation for future inflation) was 1.75%. The 10-year breakeven rate was a paltry 1.84%. Therefore, assuming the market’s anticipation is correct, the U.S. may go a full two decades without ever reaching the 50-year average inflation. Last month, Fed Chair Janet Yellen said, “The shortfall in inflation is a mystery,” during a speech in Ohio. As portfolio managers, it should grab our attention when the captain of the government’s $4 trillion economic stimulus ship is saying she is adding extra sail and the ship is not going faster. It should be even more attention grabbing when she says she doesn’t know why the ship isn’t going faster. Why is the economy maintaining historically low inflation numbers? Look no further than the pocket of your pants to see how technological innovation has impacted inflation. In a June CNBC article, BlackRock’s CIO cited, “An iPhone in 1991 storage and computing cost dollars would be worth $1.44 million per phone.” Given that anyone can go to an Apple Store today and purchase an iPhone 8 for $700, you can see the impact that innovation has on inflation rates. Likewise, given Moore’s Law, it is safe to believe this impact will be felt into the future. Technology’s impact on inflation extends beyond just computers and phones though; just look at the innovation within oil fracking. According to the Energy Information Administration, at the end of 2015 there were 300,000 fracking wells compared to just 23,000 at the end of 2000. The biggest difference comes in terms of output though. While there are 13x more wells, the output has increased 42x from 102,000 barrels per day to 4.3 million during the same time periods. This increase in output is reflective of the technology innovation in fracking. The impact of this has been a cap on the growth in the price of oil, and possibly even a deflationary pressure. For the last two years, oil has traded between $33 and $54 per barrel – compared to an average of $75 since the equity market recovery began. Over the last 20 years, many barriers to global trade have been broken down. While governments have largely helped to increase global trade, market forces have had a profound impact as well. The rise of internet commerce and global logistics have forever shaped the purchase of many goods. Amazon’s recent purchase of Whole Foods is a domestic example of how efficient logistics are shaping even food delivery domestically. In 2016, CollegeBoard published a study entitled, “Trends in Student Aid 2016.” Within the study, they showed how student loan debt, both federal and nonfederal loans, grew from $42.6B in the 1995-1996 school year to a peak of $124.2B in 2010-2011 (both in 2015 dollars). Granted, enrollment in higher education also increased during this time but did not keep pace with the 200%+ increase in loan debt. While student loan debt has been increasing, consumer debt service has been fluctuating. For the first half of the past decade, consumer debt payments as a percentage of disposable personal income declined from 5.9% to 4.9%. However, since the deleveraging ended in 2012, this ratio has been increasing and is now slightly above 5.6%. Debt essentially trades future spending for spending today. The growth in student loan debt, and the growing consumer debt service ratio, seem likely to be negative forces to future inflation rates. Dollars that could be going to stimulate the economy through purchase of goods and services are instead going to service debt which has accumulated. According to the Pew Research Center, the Baby Boomer generation was surpassed in 2015 by the Millennials for the largest generation in history. However, Baby Boomers still number almost 75 million in population. The heart of this generation, currently ages 53-71, is right at retirement age. As people age, they tend to spend less money overall. The Bureau of Labor Statistics show that persons age 55 and older spend 10% less than the population. In addition, people 75+ spend 30% less than the population. It is reasonable to expect the ageing of the second largest generating in history to hold down future inflation given they will consume less each year.